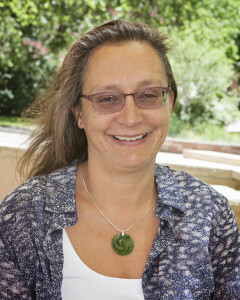 Researchers at Colorado State University and Ohio State University in the United States and PSG Institute of Medical Sciences and Research in India are working on developing low-cost replacement heart valves that promise to be superior to current mechanical and tissue-based heart valves and reduce patients’ need for medication to prevent blood clots. This consortium is supported by a two-year joint grant from the National Institutes of Health in the United States and Department of Biotechnology in India. Lakshmi Prasad Dasi, who is on the faculty of the School of Biomedical Engineering at CSU as well as on the faculty at OSU, is the principal investigator leading the U.S. efforts while cardiothoracic surgeon Dr. P.R. 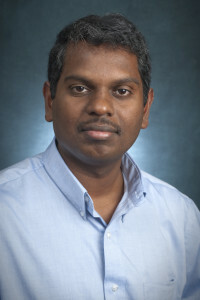 Murugesan is principal investigator leading the Indian efforts. Together with their team members they are working toward realizing a revolutionary heart-valve design superior to current heart valve alternatives for young patients particularly from low-resource settings. 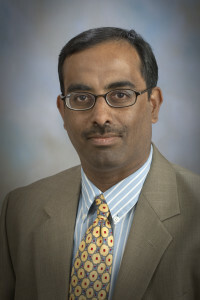 V. “Chandra” Chandrasekar, a University Distinguished Professor, professor of Electrical and Computer Engineering and associate dean for International Research in CSU’s College of Engineering, leads the management of this unique international collaboration. The result will be novel heart valves made from plastic materials to address the problems associated with rheumatic heart valve disease, which is the most common form of valve disease in developing nations. “There is a strong need for low-cost heart valves that do not need anticoagulation in India,” explained Dasi, whose expertise is in heart-valve engineering and cardiovascular biomechanics. “Patients who receive mechanical heart valves must remain on lifelong medication to prevent blood clotting, which presents its own set of side effects and complications. On the other hand, bio-prosthestic valves, usually made from tissue from cows or pigs, are prone to hardening over time and don’t last more than 10 to 15 years. Such valves cannot be implanted in patients with rheumatic valve disease because most of them are young. 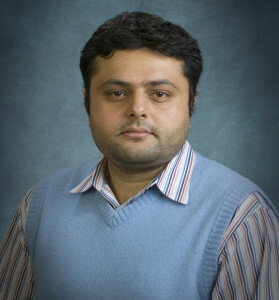 CSU Associate Professor Ketul C. Popat, an expert in bio-compatibility and surface nano-engineering who is also on the faculty of the School of Biomedical Engineering; and Chandra, who will manage the international collaboration. Dasi, James and Popat invented the core technology for this project. The engineering team is working closely with Dr. Christopher Orton, a veterinary cardiothoracic surgeon and head of the Department of Clinical Sciences in the College of Veterinary Medicine and Biomedical Sciences at CSU. Orton will work with Dr. Murugesan’s team to implant prototype valves in pigs and sheep as part of the pre-clinical evaluation. The entire pre-clinical trial will take place in India with involvement from TTK, the manufacturer of the Chitra Heart Valve. If successful, TTK will seriously consider investing in the technology towards commercialization. “In addition to reducing the need for anti-coagulation in young Indian patients, the next generation heart valves will allow for easy automated manufacturing, as opposed to the laborious process currently used to manufacture tissue valves,” Dasi said. “The goal is to reduce the cost of the device, as anti-coagulation is both risky and expensive, while the current gold standard bio-prosthetic valves are not affordable and lack the durability needed to be implanted in a young patient. In addition to implantable low-cost heart valves, the team hopes their innovative strategy can be translated and engineered as a trans-catheter heart valve, thereby eliminating the need for open-heart surgery. This is particularly important in India given that there is a significantly higher risk of dying from post-operative infection of the surgical wound in India than in the United States. A trans-catheter approach would greatly reduce the size of the incision and hospital recovery time. Research on developing the new and improved heart valves begins at the Dorothy M. Davis Heart & Lung Research Institute in the Medical Campus at Ohio State University, and the Suzanne and Walter Scott, Jr. Bioengineering Building at CSU. PSG has opened a new lab for conducting the pre-clinical studies in pigs and sheep in Coimbatore, India.